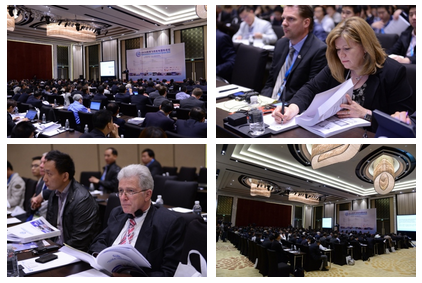 As the annual distinguished event in China Avionics Industry, CAIF 2014, held on April 22nd to 23rd in Shanghai, China, attracted the participants of a total number of more than 370 domestic and overseas experts, executives, professional reporters, among them 120 attendees came from foreign organizations and enterprises. Particularly the participants of international civil aircraft avionics airworthiness relevant organizations and institutions are further advancing the internationalization, high-end and commercialization of this event. The theme of this forum has three points: Trends of Civil Aircraft Avionics, Civil Aircraft Airworthiness, Flight Safety. Some keynote speeches such as:” Avionics Innovation and Prospects”, “Civil Aircraft Airworthiness and its implementation path”, “Large civil aircraft avionics system security design research” explained the future development of avionics products and technologies in detail. The C-level leaders from avionics industry are including: Shijun YIN, Director General, Aircraft Airworthiness Certification Department of the Civil Aviation Administration of China; Noppadol PRINGVANICH, Chief, Asia and Pacific Regional Sub-Office, International Civil Aviation Organization(ICAO); Guirong ZHOU, Vice-Chief Designer of Trunk Liner, COMAC Shanghai Aircraft Design and Research Institute; Jinglong FU, Deputy Chief Designer of MA700 Avionics, AVIC Xi’an Aircraft Industry (Group) Company Ltd; Anton Dr.-Ing WALSDORF, International Cooperation Manager, Airbus; Stephane CHARTIER, Marketing & Business Development Manager of ACSS, L-3 Communication Aviation Products and etc. The forum is divided into the first-day main forum, the second day two sub-forums, while held three panel discussions under three themes: “How to ensure a high level safety standards, based on large-scale integrated modular avionics future development trends”, “Civil aircraft avionics hotspot technology and product development trends” and “How to establish an optimized airworthiness certification system for avionics component suppliers”.